Ep. 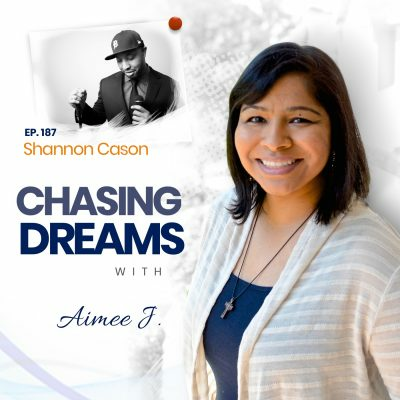 39: Steve Thompson – Helping the Homeless a Pair of Socks at a Time | Aimee J.
Steve Thompson has built his business around his 2 passions: socks and giving back. His business, Necessary Good, LLC, is focused on giving back in a big way. Steve discusses the mission of Necessary Good, as well as the inspiration behind the company. It’s clear that Steve makes helping people a core focus of his life and the good that he continues to do with his company is certainly inspiring. Learn more about Steve and the conscious work Necessary Good does to make the world a better place, one pair of socks at a time. Having an “a-ha” moment that shapes your future. Steve’s passion for socks goes back a few years. In fact, he has quite the collection of unique(and sometimes downright “crazy”) socks. For Steve, realizing just how much money he was spending on his sock collection sparked an idea. Fueled by a passion for helping people, Steve decided it was time to give back and pursue his passion for socks at the same time. His a-ha moment came when he found out the number one things homeless shelters need are socks. Once Steve put those 2 ideas together, Necessary Good was born. The value of giving back and building a business around that. The mission of Necessary Good is simple: “Giving socks a new meaning, one pair at a time”. Their“buy a pair, give a pair” business model has been a huge hit with customers. Steve discusses why this is important and how they donate 1 pair of socks for every pair sold to a homeless shelter.He discusses the design process of the socks as well, sharing more detail of his passion for unique socks. Steve also dives into the subject of balance while building a business and how he maintains focus on what matters most. Overcoming setbacks and focusing on your why. For any new business, there are setbacks. Steve shares one of his setbacks in building NecessaryGood and how, for a short time, it sidetracked him from his mission. He also discusses how maintaining focus on his “why”helped him get back on track. Steve delves deeper into his why and shares how he always focuses on why he started the company,especially when there are naysayers around. He also discusses the importance of having the right people around you so that you can stay focused on what matters most and continue to grow. Making the world a better place, one pair of socks at a time. 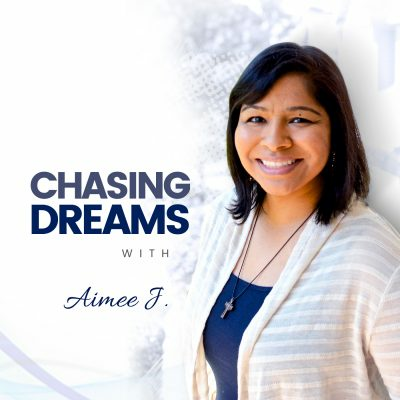 As they close out their chat,Aimee and Steve talk about the inspiration behind the nameNecessary Good as well as Steve’s hopes for the future. 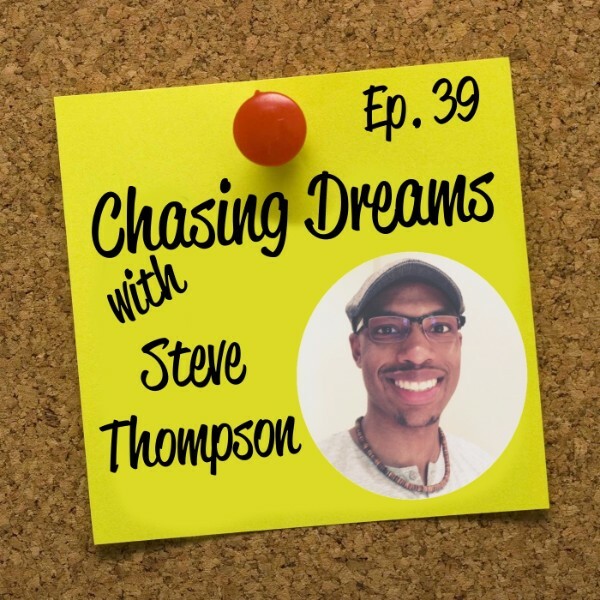 Steve also gives his top piece of advice to fellow dream chasers (hint: follow your heart). He gives insight to the commitment Necessary Good has to environmental responsibility as well as how important it is to make sure customers understand your mission. It’s clear Steve is a dream chaser through and through. It’s also clear he’s following his dreams with passion and purpose, truly making the world a better place. [2:26] Making strides to change the world. [2:47] The inspiration behind NecessaryGood. [5:35] The process of giving back throughSteve’s company. [6:42] Steve’s passion for design. [7:23] Steve’s aspirations as a child. [8:54] Balancing the company with other areas of life. [10:27] Some mistakes Steve made along the way and what he learned. [14:24] What inspired the name “NecessaryGood”? [15:32] Will you expand beyond socks? [16:42] What was one thing you’ve done over the last 2 years, that you’re really happy about? [18:28] The thrill of the first sale. [23:03] How you can give back to your community. [24:13] Steve’s commitment to environmental responsibility. [25:32] Steve’s recommendation for fellow dream chasers. Listen to your heart and tune out the negative voices.